When you sleep better, you feel better. 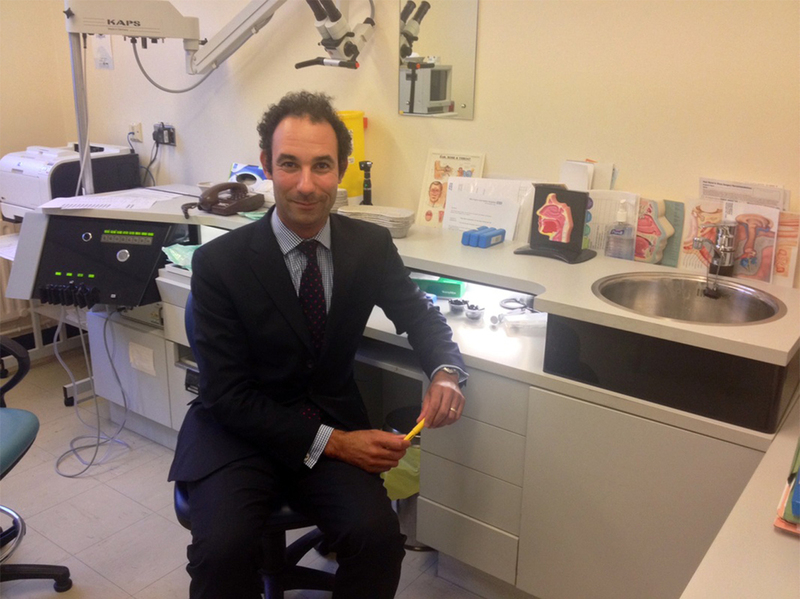 Jonathan is a UK trained ear nose and throat surgeon who graduated from the Universities of Cambridge and Oxford. Jonathan commenced his surgical training in London working at the Royal Free Hospital, St. Mary’s, Great Ormond Street and the Royal National Throat, Nose and Ear Hospital. He then moved to Manchester where he was an ENT registrar from 2004 – 2011. In 2010 Jonathan spent a year working in Australia on a prestigious international fellowship with Professor Simon Carney and Dr Sam Robinson. He was able to devote time to advanced rhinology training and developed his expertise in the surgical treatment of snoring and obstructive sleep apnoea. Jonathan was a consultant at Warrington and Halton Hospitals Foundation Trust from 2011 – 2013. He has been recognised and accredited specialist status by the specialist advisory committee in Otolaryngology/Head and Neck Surgery and the General Medical Council – his certificate of completion of training (CCT) was awarded in October 2011. Jonathan’s research interest include evaluation of outcomes of treatment for obstructive sleep apnea and surgical simulation for training. He has published widely with over 40 publications to his name including a Cochrane systematic review on masking devices for tinnitus and publications in the Lancet and British Medical Journal. Jonathan is passionate about teaching and is heavily involved with the undergraduate medical student programme at the University of Liverpool. Jonathan also participates in regular audit of his and his department’s work and regularly evaluates the outcome of any surgery performed on his patients. Every facet of his clinical work is underpinned by the desire to provide high quality, safe healthcare and he hugely appreciates the feedback and testimonials that his patients provide. Jonathan provide his Stop Snoring Treatments at Skin Medical’ clinic, at St. Ann’s Square, Manchester. Contact us if you have any further queries ….